Weakness in the pipeline sector over the past couple of years has caused soul-searching and changes to corporate structure. Incentive Distribution Rights (IDRs), which syphon off a portion of an MLP’s Distributable Cash Flow (DCF) to the General Partner (GP) running it, have largely gone. Many of the biggest MLPs have abandoned the structure entirely, leaving its narrow set of income-seeking investors to become corporations open to global institutions. 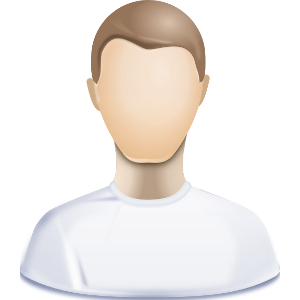 The debate among investors, management and Wall Street about how to unlock value received some useful ideas recently from Wells Fargo (WFC). 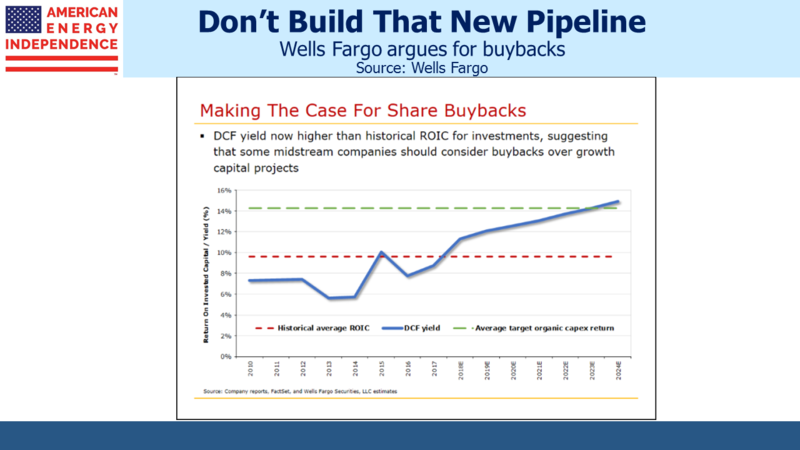 In a presentation titled The Midstream Conundrum…And Ideas For How To Fix It, they make a persuasive case that stock buybacks offer a more attractive use of investment capital than new projects. This would be a significant shift for MLPs. As recently as five years ago, they paid out 90% or more of their DCF to unit-holders and GP (if they had one). The Shale Revolution was only beginning to demand substantial new infrastructure, so they had little else to do with their cash. New projects were funded by borrowing and by issuing equity through secondary offerings. Shale plays were in regions, such as the Bakken in North Dakota and the Marcellus in Pennsylvania/Ohio, inadequately serviced by pipelines. This broke the model, because the amounts of investment capital required grew substantially. The capital markets loop of paying generous distributions while simultaneously retrieving much of the cash through new debt and equity was no longer sustainable. Dozens of distribution cuts and lower leverage followed, leading to projects being internally financed. This is the new gold standard for the sector – reliance on external capital to fund growth is out. Wells Fargo takes this logic a step further, asking why excess cash always needs to be reinvested back in the business rather than returned to investors via buybacks. In spite of professed financial discipline, midstream management teams invariably find new things to build, all expected to be accretive (i.e. return more than their cost of capital). Pipeline companies are not alone – the entire energy sector has been dragged by investors to prioritize cash returns over growth. But MLPs rarely buy back stock. Free of a corporate tax liability, MLP distributions aren’t subject to the double taxation of corporate dividends, so raising payouts is a simple way to return cash. Disclosure: We are invested in ET and SEMG. We are short AMLP.